If you’re in the market for a compact luxury sedan, consider the 2017 Jaguar XE. Compare the XE to competitors like the BMW 3 Series, the Mercedes-Benz C-Class, and the Lexus IS to discover what makes Jaguar the most compelling choice. Schedule an appointment to visit Jaguar Oklahoma City today. We serve drivers in Oklahoma City, Yukon, and Edmond. The 2017 Jaguar XE offers powerful engine options that offer varying driving dynamics. The available 2.0L 4-cylinder engine delivers up to 240 horsepower while still maintaining up to 30 MPG highway. The XE also offers a diesel engine that’s available in front-wheel drive and all wheel drive. With this engine you’ll experience up to 180 horsepower, and up to 42 miles per gallon on the highways. The 2017 Jaguar XE includes available features that offer a better driving experience. The lightweight aluminum architecture is the ideal platform for a performance vehicle, offering more balanced weight distribution. With the adaptive surface response feature, your vehicle will recognize changes in the road and automatically adjust for optimum grip. Inside the 2017 Jaguar XE, you’ll find a host of features that are designed to keep you connected and entertained. With the Jaguar InControl® Touch Multimedia system, you’ll have access to navigation, Bluetooth connectivity, integrated text-to-voice, and more. Plus, with the Jaguar XE’s advanced safety features, you can enjoy your drive with more peace of mind. Take advantage of features like Blind Spot Monitor, Park Assist, Lane Keep Assist, Adaptive Cruise Control and more. If you’re in the market for a new luxury compact sedan, and considering options like the Mercedes-Benz C-class, BMW 3 Series, Lexus IS, and Jaguar XE, choose the Jaguar XE. Experience raw performance and exceptional driving dynamics with the most elite of Luxury brands. 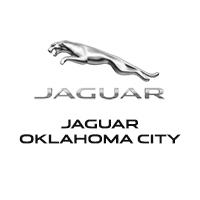 Visit Jaguar Oklahoma City today, serving drivers in Edmond and Yukon, Oklahoma.